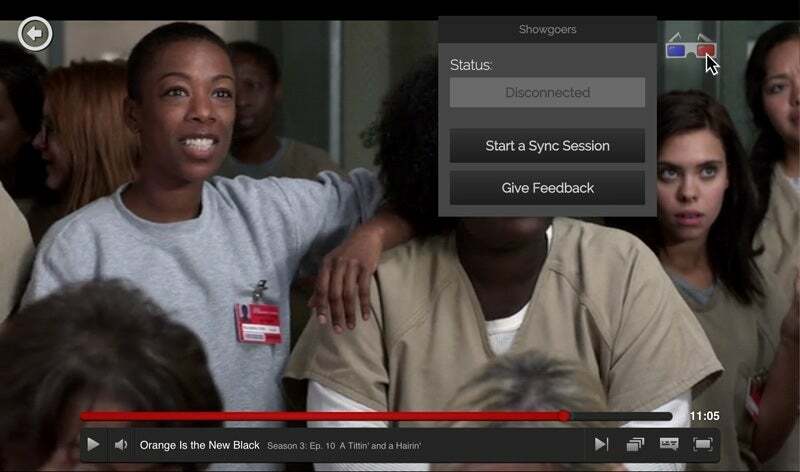 Two Chrome extensions for Netflix offer synchronized playback and built-in chat windows. Your next Netflix binge-watching session needn’t be so lonely thanks to a pair of party mode Chrome extensions. With either Netflix Party or Showgoers, you can invite friends to watch any Netflix video with you, provided they also have a subscription. These Chrome extensions will synchronize playback among all party members, and offer a sidebar for group chat. What’s the difference between these two extensions? I’ve found that Netflix Party interface is a bit faster at synchronizing and has a cleaner interface. On the other hand, Showgoers offers more features, such as customizable chat nicknames and the ability to join or host public viewing parties. Unfortunately, neither extension is as powerful or immersive as the old Netflix party mode on the Xbox 360, and the only way to use them is with Google’s Chrome browser on a laptop or desktop computer. But until group VR viewing sessions become a reality, they’ll have to suffice. Using Google’s Chrome browser, install the Netflix Party extension from the Chrome Web Store. You should see an “NP” logo next to the address bar after installation. Head to Netflix.com and select the video you want to watch. The “NP” logo should turn red. Click on the logo, then click Start the Party. Optionally, check the “Only I have control” box to prevent others from pausing, rewinding, or fast-forwarding the video. Click the “NP” logo at any time to hide the chat window or exit the party. Using Google’s Chrome browser, install the Showgoers extension from the Chrome Web Store. You should see a glasses logo next to the address bar after installation. Head to Netflix.com and select the video you want to watch. A 3D glasses logo should appear inside the playback window. Click on the logo, then click Start a Watching Party, or click Browse Parties to see if any one is hosting a public viewing session.